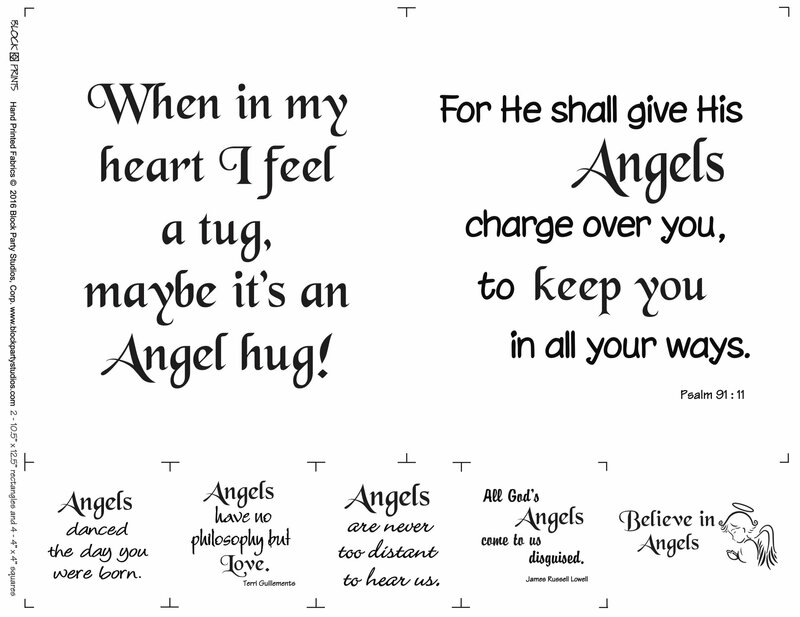 We hope our "Believe in Angels" Fabric panel will inspire you to quilt! This panel includes 2 - 10.5" x 12.5" rectangles and 4 - 4" x 4" squares. The whole panel is approx. 18" x 22" and is hand-printed on 100% Kona cotton - your choice of white or natural color.